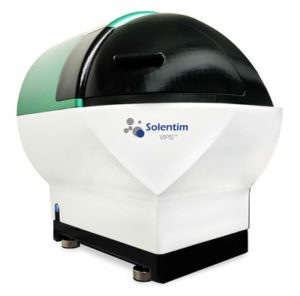 VIPS™ single cell seeding system by Solentium which is a dedicated and integrated solution to cell line development that ensures data continuity and integrity. The VIPS™ has been solely developed for automatic seeding of single cells into 96 and 384 well microplates as part of the process to generate clonally-derived cell lines. 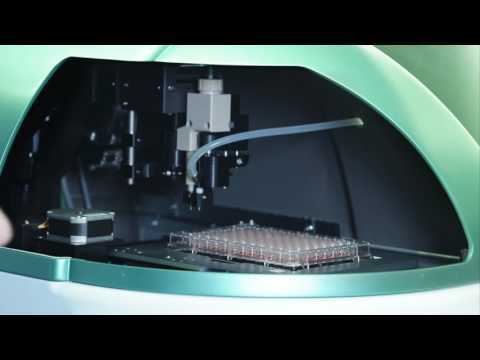 It is a more simple and reliable solution when compared to traditional single cell seeding techniques, so, improve and ease your clone screening process with VIPS™ single cell seeding system. VIPS™ (Verified In-situ Plate Seeding) system combines single cell deposition with simultaneous in-situ image verification of a single cell in the well for high efficiency seeding of well plates. It is a small bench top instrument which can be placed inside a standard biological safety cabinet for sterility. All its components that come in contact with cell culture are interchangeable and can be sterilized or replaced with new thereby ensuring sterility of the process. VIPS™ (“Verified In-situ Plate Seeding”) has been build upon the wide adoption, regulatory acceptance and established benefits of limiting dilutions (LD) approach, but then most significantly it dramatically increases the plate seeding efficiency. This is achieved by a unique process, called SMART LD™, whereby imaging of the well is carried out immediately after a cell dispensing event and automated cell detection confirms whether a single cell was dispensed or not. 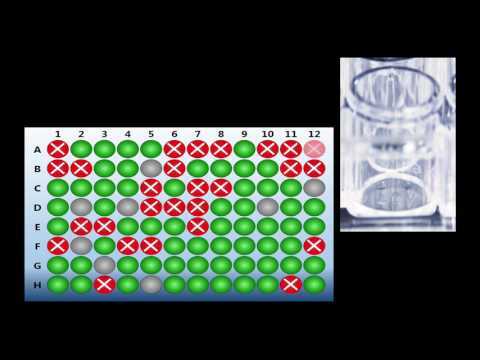 This is an iterative process repeated several times over to ensure a final plate with a resultant high occupancy of single cells in wells, most of which will grow out to form colonies. The system includes facilities to support the statistical qualification of the seeding process, to both validate the seeding protocol and to provide ongoing quality control when scaling up throughput. VIPS™ is an ideal single cell seeding platform for customers who have already purchased the Cell Metric imager. Results displayed in plate map format indicating empty well, single cells or wells with multiple cells. To ensure for an integrated and validated workflow for cell line development, use Cell Metric CLD system to confirm and prepare validated report after dispensing the single cell using VIPS™ system.